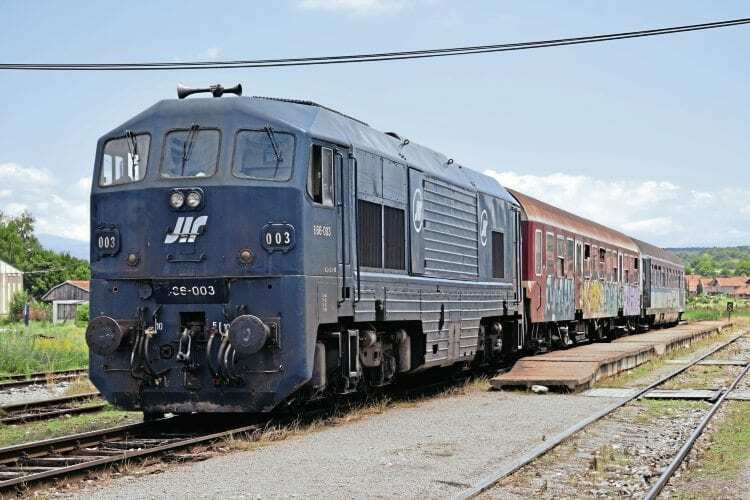 SERBIAN Railways (ŽS) has four EMD JT22CW-2 Class 666 diesel locos built by EMD in the USA in 1978 and mechanically very similar to the Irish 071 Class (also model JT22CW-2 but with different body styling). The ŽS Class 666s were bought by Yugoslav Railways to operate the presidential train for former Yugoslav leader Marshall Tito. Between Tito’s death in 1980 and the subsequent break up of Yugoslavia in the early-1990s the locos were used alongside other diesels in the ŽS fleet. In recent years, they have all been out of use, but in summer 2017 two (Nos. 666 001/003) have been reinstated and used to operate the summer-only international trains between Belgrade and Sofia in Bulgaria (between Nis and the border station of Dimitrovgrad) plus during July 2017 other trains between Belgrade and Bar (Montenegro) which were diverted in Serbia away from the electrified main line.